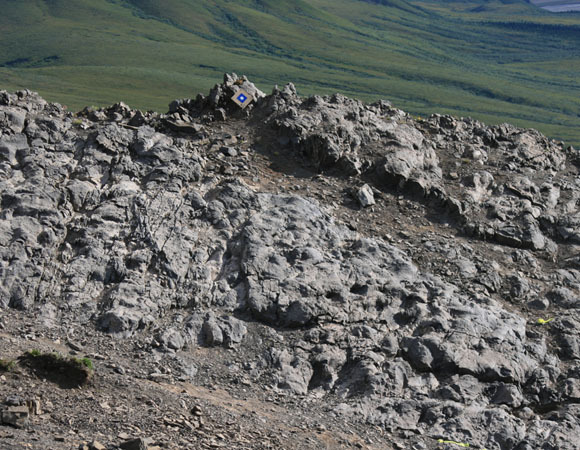 Researchers: Anthony R. Fiorillo, Perot Museum of Nature and Science, Dallas, Texas; Stephen T. Hasiotis, Department of Geology, University of Kansas, and Yoshitsugu Kobayashi, Hokkaido University Museum, Hokkiado Japan. 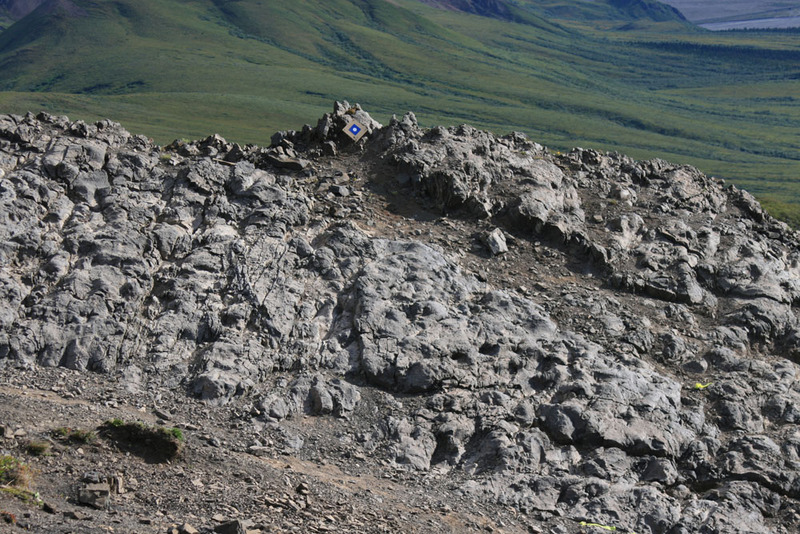 A large number of tracks of mostly hadrosaurid dinosaur footprints discovered in Denali National Park and Preserve, Alaska provides information about their behavior in a warm, high-latitude environment. Detailed analyses show that hadrosaurid herds lived in multigenerational groups, that juveniles had relatively rapid growth rates, that these herbivores lived year-round in the Arctic and that a warm polar world could support a significant population of large plant-eating dinosaurs. The exceptionally large and well-preserved tracksite contains dinosaur footprints, with skin impressions in some tracks, and fishes, plant and insect fossils. The dinosaurs are mostly hadrosaurids, with some theropods, ceratopsians, and pterosaurs. The tracksite is in the Upper Cretaceous Cantwell Formation, which was formed in an alluvial fan, braided to meandering stream and floodplain environment at the time of the dinosaurs. Tectonic plate reconstructions and the flora and fauna show the area was at about the same latitude as the modern Denali Park. Thus the fossils depict hadrosaurian behavior in a high latitude polar ecosystem. 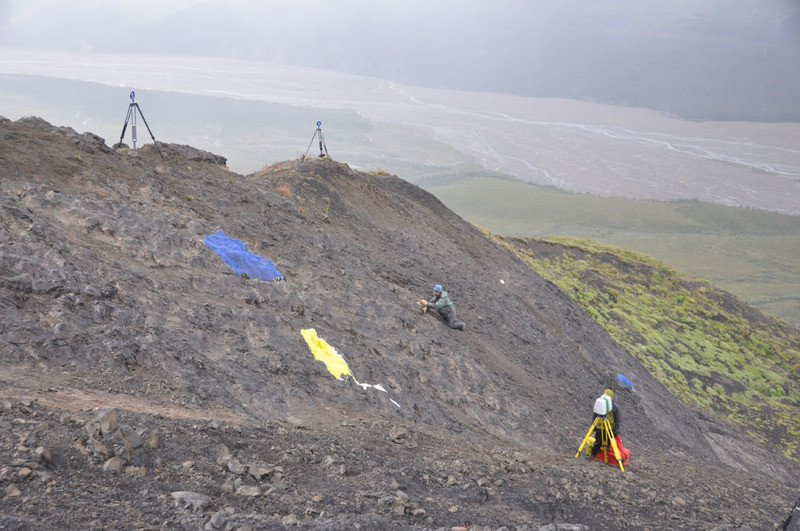 The site was found on a steep slope exposed to weather and other erosional agents. The researchers collected some rubber molds of some of the trackways and related samples. In addition, UNAVCO field engineer, Brendan Hodge, collected ground-based lidar images (also called terrestrial laser scanning) of the trackways to preserve details through thousands of georeferenced data points (see UNAVCO Project Highlight for more details). The hadrosaurid tracks are abundant and statistical analysis yields four size ranges from pre-juvenile, juvenile, young adult and adult. The juvenile tracks are small in number. The analysis suggests that these Alaskan hadrosaurs traveled in multi-generational herds and that these herds lived year round at high latitude. This is in contrast to the suggestion that the herds migrated long distances. The rare juvenile prints indicate relatively rapid growth to explain their small representation in the trackway and this is consistent with other studies. These Alaskan hadrosaurs are comparable in size to lower latitude hadrosaurs, suggesting these herbivores could thrive in the Arctic. Indeed, the Arctic was warmer at the time of the herds with average winter temperatures of 2 to 4 C and summer temperatures of 10 to 14 C, because the planet was experiencing greenhouse conditions at that time. The study may offer insights regarding adaptation to modern world warming, especially in the Arctic. 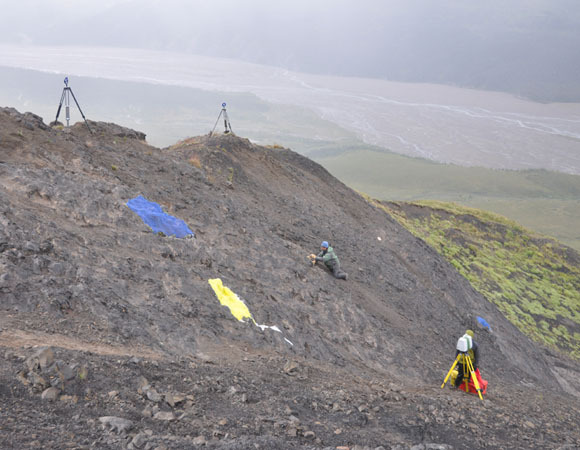 Anthony R. Fiorillo, Stephen T. Hasiotis, and Yoshitsugu Kobayashi (2014), Herd structure in Late Cretaceous polar dinosaurs: A remarkable new dinosaur tracksite, Denali National Park, Alaska, USA, Geology, DOI: 10.1130/G35740.1.